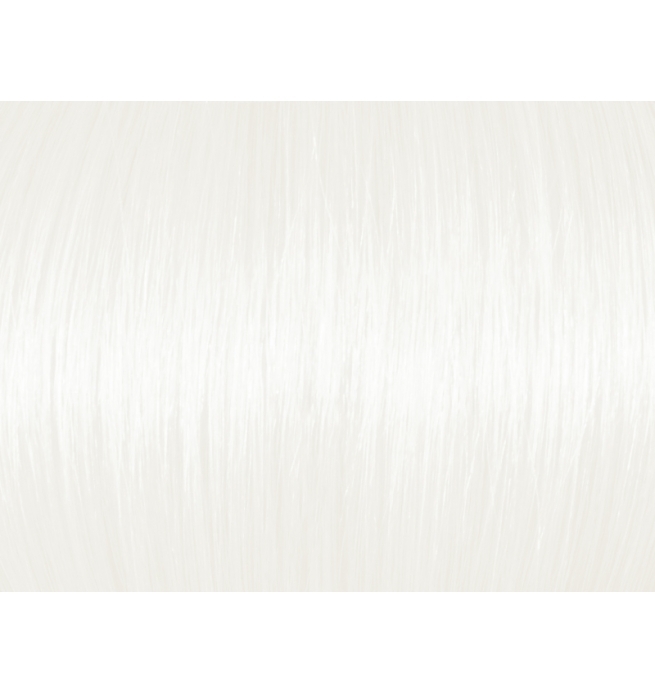 If hair is not already blonde, you need to lift using Brilliant Blonde Lightener & 20 Vol Developer. The most common mistake stylists make is not lighten enough - don't be like this! Lift correctly and consistently to level 9/10. 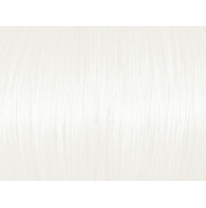 Note that if you have a lot of lifting to do, apply lightener on ends first, roots last. 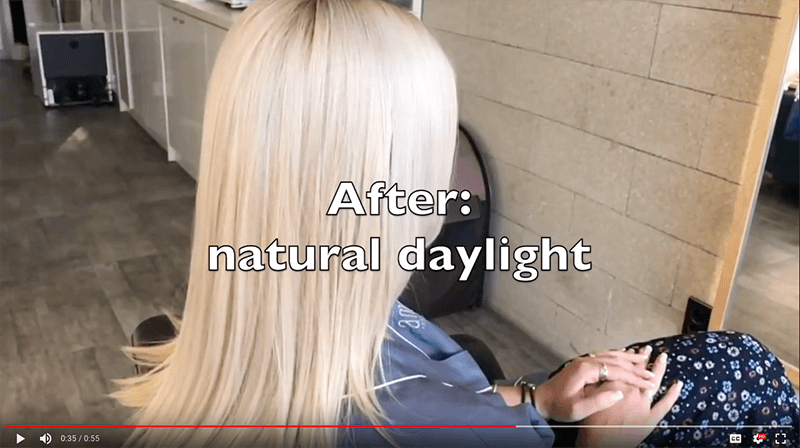 The roots will lighten faster due to the heat from the scalp. Rinse when level 9/10 has been achieved. 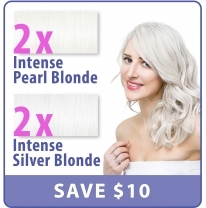 Now apply Intense Pearl Blonde or Intense Silver Blonde Toner. Use 10 or 20 Vol developer depending on how much yellowness is still left in your hair. The correct mix is 1 part toner to 2 parts developer. This will give you a runnier mix and allow you to work fast and achieve consistent results. Do the root area last as this part will lift the fastest. Saturate the hair with the product mix as much as possible. Normally around 10 minutes is enough. Picture Shot in Salon in Natural Daylight. 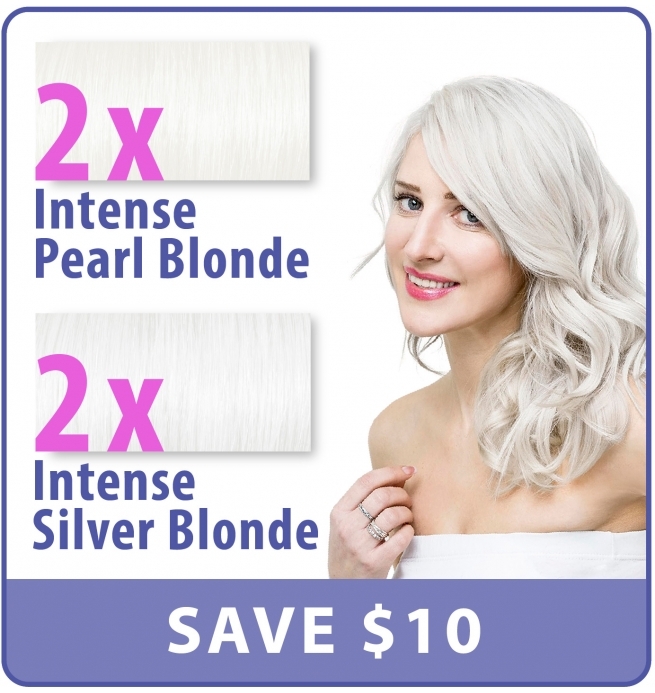 Set Contains: 2 Intense Pearl Blonde Toners (100V) and 2 Intense Silver Blonde Toners (100B). Ugly Duckling intense toners are fast acting toners with boosters to lift out yellowness and brassiness. 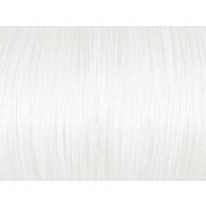 Intense Silver Blonde will produce a siver-white ultra ash blonde result. Each tube is a 3.5 oz tube, so 1 tube contains enough product even for thick shoulder-length hair. QUANTITY OF SETS Limited -  offer available only while stocks last. 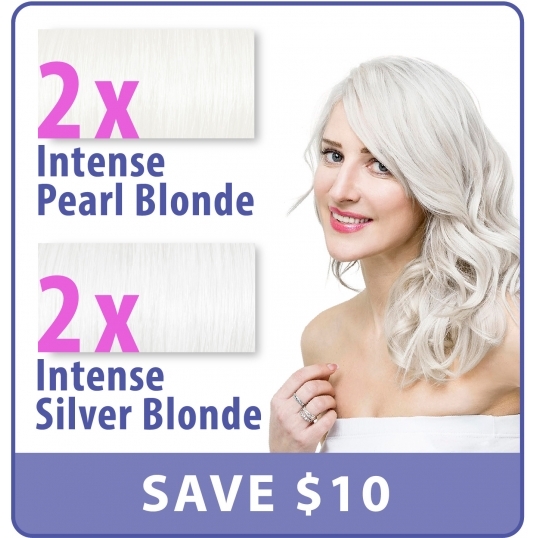 [meta_description] => Fast Acting Intense SIlver and Pearl Blonde Toners. 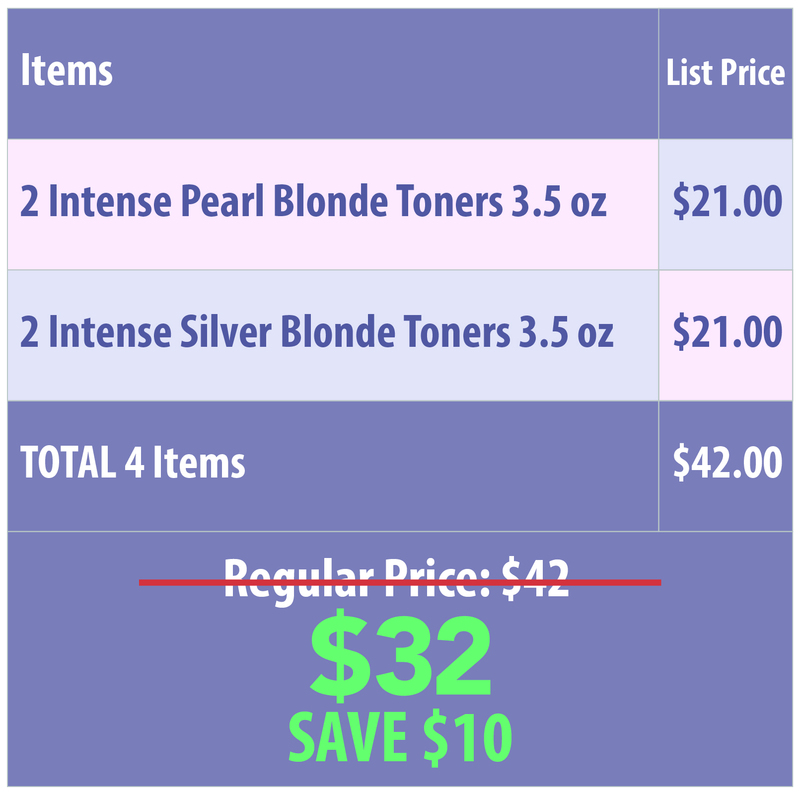 Best Selling Ugly Duckling toners. Fast Acting. Apply on Wet or Dry Hair. Ugly Duckling intense toners are fast acting toners with boosters to lift out yellowness and brassiness. QUANTITY OF SETS Limited - offer available only while stocks last. 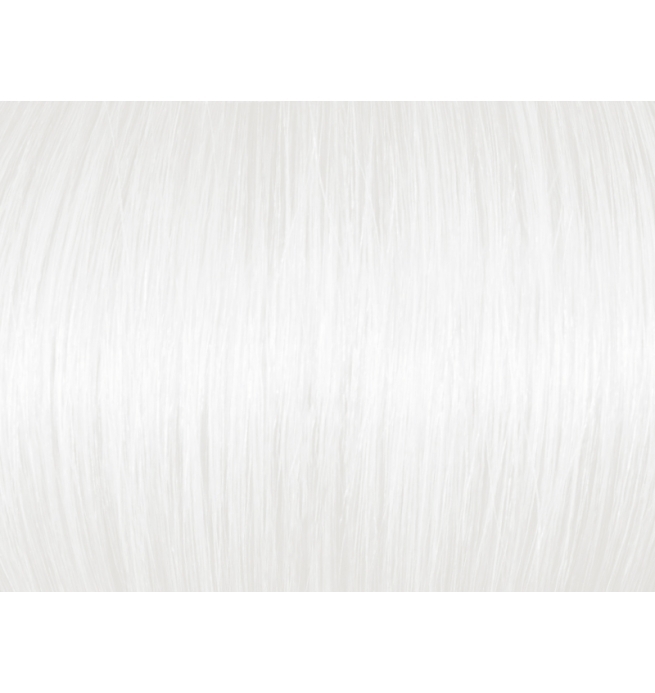 Use 10 or 20 Vol developer depending on how much yellowness is still left in your hair. Saturate the hair with the product mix as much as possible.